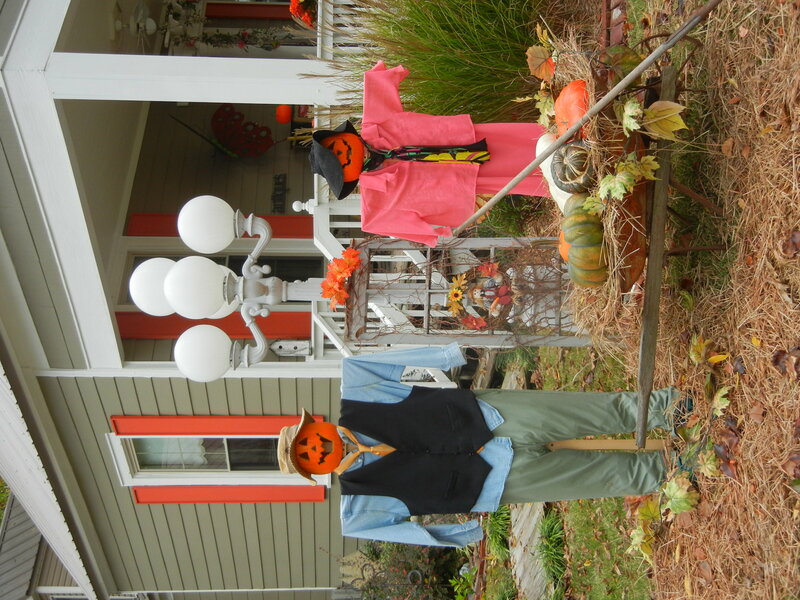 If I could give out prizes for Best Autumn Yard Decor in my town of Corinth, Miss., I’d award first place to this scarecrow couple who look quite stylish even though they’ve interrupted their gourd-harvesting to smile for the camera. And, yes, I know that — at least on the Calendar According to Retail — fall is over and we’re in the midst of the holiday season and if you haven’t started yet you’re already behind, but it’s not Christmas yet if Thanksgiving still is a couple of weeks away. I’m just sayin’. This entry was posted in family, fashion, holidays, home, Mississippi and tagged fall decor, family projects, gourds, holidays, outdoor decor, scarecrows, yard art by Coffee with Cathy. Bookmark the permalink.